The cost of nursing home care in the U.S is prohibitive for many, and it can vary widely between regions and states, from around $5,000 per month up to a surreal $25,000 per month. How much a nursing home charges depends on its geographic location, staffing levels, the complexity of care offered and the facility’s size and quality. Additionally, there may be “à la carte” costs to contend with. For example, a facility that offers social services like financial management aid is likely to charge extra for that feature, among others. Nursing home prices can make it tempting to look for less costly, less supportive residential care options such as assisted living. However, nursing homes should never be conflated with assisted living facilities. Knowing the difference between the two is an important part of making sure you or someone you are responsible for is getting a sufficient level of aid and supervision. While assisted living offers minor assistance with personal care as well as social and health-related community functions, what makes a nursing home different from other elder care choices is that residents are under the 24-hour supervision of licensed or registered nursing staff (in a skilled nursing facility) or of certified nursing assistants (in an intermediate care facility). In addition to skilled nursing care, nursing homes also offer most of the services that are available in assisted living. These include direct assistance with what’s known as “activities of daily living“, or tasks like dressing, bathing, grooming, toileting and walking. Physical therapy, exercise assistance and opportunities for social interaction are usually offered to residents as well. Before opening a discussion about a potential nursing home stay, it’s helpful to understand the likely fees for room, board and basic care, and also those for special services that may be needed. The expenses involved can vary significantly depending on the expected length of the stay and the complexity of care that the resident will be likely to require, and also where the nursing home is located. Individual costs for services and supports can vary quite broadly, but according to the 2018 Genworth Cost of Care survey, the national average cost of rent in a semi-private room is $7,441, while a private room is likely to cost about $8,365. Regions in the U.S. where nursing home care tends to be cheapest are the South and Southeast, and also parts of the Midwest. Prices climb significantly in states along the Pacific coastline but the highest costs in the nation are found in New England and Alaska. While nursing home costs can be disconcerting to many retirees and caregivers, there are some circumstances where out-of-pocket expenses may be reduced. If someone is over 65 and requires only a short-term stay in a skilled nursing facility to recuperate after a hospitalization, Medicare should pick up the costs for the first 20 days, paying any fees exceeding $128 per day for Days 21 through 100. If a longer-term stay is needed, residents may be eligible for coverage under Medicaid, but only if their assets fall below a certain level. Or, if a resident has long-term care insurance, skilled nursing may be covered under their policy. If neither of these circumstances apply to the person in need of care, then they or their family will need to find a way to cover nursing home expenses on their own, and these can average upwards of $200 a day. Most residents entering a skilled nursing facility pay for their care using their own funds — at least initially. This might mean dipping into your loved one’s personal savings, stocks or other assets. However, it’s not uncommon for adult children and other family members to pool funds to help cover the costs of nursing home care until their elder dependent becomes eligible for a public benefit program like Medicaid. 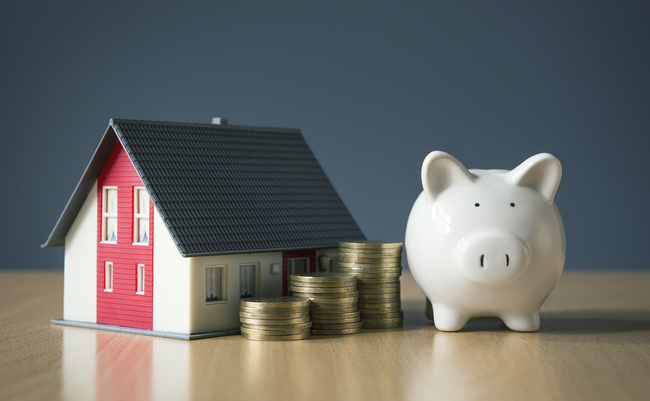 Families seeking accommodations for a loved one sometimes turn to more creative ways of using personal assets to cover costs, such as by taking out a reverse mortgage. A reverse mortgage allows a homeowner to convert the home equity they’ve built up over time into cash. The homeowner can then access these funds either in monthly payments, a lump sum or via a line of credit. Regardless of how you come up with the cash for your loved one’s nursing home stay, it’s crucial to work with reputable financial institutions and to ensure that you understand all of the terms and fees involved. It’s also important to check with your skilled nursing facility about what types of care and services are included in the fees being charged, and which ones may cost extra. Could assisted living be a better option for you? If nursing home costs are unreasonable for your personal budget and a physician finds that constant supervision isn’t necessary for your aging loved one, it may be possible that an assisted living facility could meet their care needs. According to S&P 400 insurance company, Genworth, assisted living community rates can range anywhere from $2,500 to nearly $7,000 per month depending on where they’re located and the level of care needed. Assisted living offers the benefits of community living and support for activities of daily living (ADLs), but it is not ideal for someone who needs significant medical assistance or 24-hour supervision, and may be the more costly option for people who require memory care. Many Americans use long-term care insurance to cover nursing home fees and other personal care costs in their elder years. Long-term care insurance is designed to lower out-of-pocket expenses for stays in a broad range of care settings, including nursing homes and assisted living facilities. It’s best to buy a long-term care insurance policy well before the need to use it is likely to arise, even if this means paying premiums for many years. Premium rates are much lower for people who are in good health when they purchase their policy. If your loved one has a life insurance policy, cashing it out can help him or her pay for nursing home costs, and certain types of life insurance will allow the policyholder to use it as long-term care insurance. If a life insurance policy includes accelerated death benefits, policyholders are able to take a portion of their death benefit while they’re still alive in order to pay for long-term care. In cases where the death benefit is not enough to cover nursing home costs, the policyholder might choose a life settlement, in which he or she sells the life insurance policy to a third party. Today, there are also a number of combination life insurance policies that include long-term care benefits, although these policies tend to be pricier than standard life insurance. One of the biggest misconceptions about Medicare is that it provides long-term nursing home coverage. It doesn’t. Medicare covers only limited periods of inpatient care, only in a skilled nursing or rehabilitation facility following a hospital stay, and only under strict guidelines. Still, Medicare nursing home coverage can be vital if the person you’re caring for has just been hospitalized. Medicare can pay for costly short-term, intensive rehabilitation, which in turn can give you a chance to arrange for longer-term care if it’s needed. One of the reasons many people mistakenly believe that Medicare covers long-term custodial care is that it is easily confused with Medicaid, which is a completely separate program only available to people who have very low income and few assets other than their home. Unlike Medicare, Medicaid can cover long-term care, either in a nursing home or at home. Who’s eligible for Medicare nursing home coverage? Medicare nursing home coverage is a standard part of Medicare Part A. Anyone enrolled in Medicare Part A can receive Medicare nursing home coverage if they qualify for it. There’s no special paperwork needed to apply for Medicare nursing home coverage; the nursing home itself handles all the administration. If the person you’re caring for is enrolled in a Medicare Part C Medicare Advantage plan, it too will cover nursing home care, at least to the same extent (described below) as Medicare Part A does, and perhaps with somewhat broader coverage. Contact the plan directly to find out the exact terms of its nursing home coverage. What kind of nursing home care does Medicare cover? The term nursing home can refer to different types of places, including rest homes, nursing homes, board-and-care homes, assisted-living facilities, congregate living homes, and sheltered care homes. All of these provide what’s called custodial care, which is long-term residence and non-medical assistance with the activities of daily living — such as bathing, eating, walking, and dressing — for people who don’t have acute medical conditions but who are no longer able to care for themselves completely. This type of custodial long-term care is not covered by Medicare. At the other end of the nursing home spectrum is high-level inpatient medical care, referred to as skilled nursing or rehabilitation care. Under certain circumstances, Medicare Part A covers this skilled care for a limited time while a patient is recovering from a serious illness, condition or injury. For Medicare to cover this care, it must be provided in the skilled nursing facility wing of a hospital, in a stand-alone skilled nursing or rehabilitation facility, or in the skilled nursing or rehabilitation unit within a “multilevel” facility. How does someone qualify for nursing home coverage with Medicare? Prior hospital stay: A patient’s stay in a skilled nursing or rehabilitation facility has to begin within 30 days of an inpatient hospital stay of at least three days (not including the day of discharge). Need for daily skilled nursing or rehabilitation: Medicare provides nursing home coverage only if the patient needs — and his or her physician prescribes — daily skilled nursing care or physical rehabilitation. For someone who needs skilled care but doesn’t need it every day, Medicare won’t cover nursing home care. However, in that situation Medicare might cover home care. Medicare-approved facility: For Medicare to cover inpatient skilled nursing or rehabilitation care, the care must be received in a facility that Medicare has certified for that purpose. Improving condition: Medicare covers nursing home care only as long as the patient’s condition is improving. Once Medicare, the patient’s doctor and the facility have determined that his or her condition has stabilized, Medicare will no longer cover inpatient nursing home care. How much does Medicare pay for skilled nursing home care? If a person can meet the qualifying conditions for Medicare coverage of nursing home care, Medicare will contribute a partial payment of a limited amount. For the first 20 days in a facility, Medicare pays all covered charges — excluding items such as a telephone or television, or a private room that isn’t medically necessary. For days 21 to 100 in a nursing facility during any one benefit period, Medicare pays all covered charges except a daily “coinsurance amount” for which patients are personally responsible. In 2019, that amount is $170.50 per day. If the patient has a private Medigap supplemental insurance policy, that policy might pay some or all of this coinsurance amount. After 100 days in a covered skilled nursing facility in any one benefit period, Medicare no longer pays any of the cost. If the patient is enrolled in a Medicare Part C Medicare Advantage plan, the plan may provide broader coverage than Medicare Part A does. Contact the plan directly to find out what its nursing home coverage and payment terms are. Where can I get more information about Medicare coverage for nursing facility care? If the person you’re caring for is in the hospital and you’re looking for answers about follow-up nursing-facility care, contact the hospital’s discharge planner, who can arrange this type of care, or the hospital ombudsman, who’s trained in Medicare issues and helps patients understand them. You can also get information about Medicare nursing home coverage directly from Medicare’s website or by calling (800) 633-4227. If the person you’re caring for has already been referred to a particular nursing facility, the intake administrator for that facility can also help with Medicare-related questions or problems. Medicaid is a federal government program administered jointly with state governments, and it pays long-term nursing home costs for people with low income and few assets (other than a house they own). 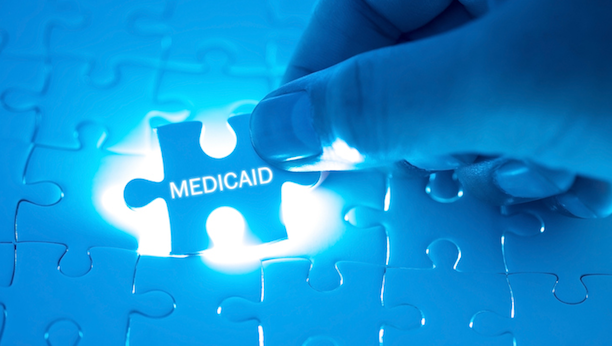 Each state administers its own Medicaid program, with slightly different eligibility rules. In some states, Medicaid pays some of the cost of assisted living for eligible residents in participating facilities. Who’s eligible for Medicaid nursing home coverage? Medicaid nursing home coverage is available only to people who are unable to care for themselves at home. They must meet their state’s eligibility limits regarding income and assets, which differ depending on whether the resident is single or part of a married couple (see below). They may reside in any level nursing home that’s certified by Medicaid and that accepts Medicaid payment. Be aware, however, that some nursing homes only accept Medicaid payment for a limited number of residents. For eligible beneficiaries, Medicaid pays the full cost of room and board in a nursing facility, plus any therapies that are part of the nursing home’s regular resident care. Medicaid’s payment also includes personal care items such as incontinence supplies and toiletries, as well as services such as bathing, grooming, and laundry. There’s no time limit on Medicaid nursing home coverage, and the Medicaid beneficiary has no co-payments to make. The income limits for Medicaid nursing home coverage eligibility are different for an unmarried, divorced or widowed person than for a married couple. Single person — State Medicaid programs limit the income of an unmarried nursing home resident in two different ways. One way, used by some state Medicaid programs, establishes a monthly income eligibility limit. This limit varies by state but generally sits at about $2,313 per month. If a Medicaid applicant has income higher than the Medicaid limit in one of these states, that person isn’t eligible for Medicaid coverage of nursing home care. Other states have no income limit but instead require the beneficiary to pay almost all income to the nursing home, with Medicaid paying the balance of the nursing home’s charges. In these states, the Medicaid program allows the resident to keep only a small amount — about $50 to $100 per month — for personal needs. Some of these states also allow a small amount of income to be retained by the resident for upkeep on the resident’s home, usually only for up to one year of admission to the nursing home, and only if a physician certifies that the resident might be able to return home. Married couple — When one spouse enters a nursing home and the other spouse (often called the “community spouse”) remains at home, Medicaid has special income rules for each. For initial eligibility for coverage of nursing home care, Medicaid only considers income in the name of the person entering the nursing home. Income in the name of the community spouse is not counted at all; the community spouse can keep all income in his or her name. (This is sometimes called the “name-on-the-check” rule). The exact amount of the Medicaid applicant’s allowable income is determined by the specific state’s Medicaid program, but it is usually only $350 to $750 after regular medical expenses are deducted. Once a married person in a nursing home has become eligible for Medicaid coverage, new income rules kick in. The person in the nursing home can keep only a small monthly allowance for personal needs (in some states as low as $30), plus amounts necessary to pay for uncovered medical costs. Some income that belongs to the spouse in the nursing home — meaning income in the name of the nursing home resident — can go to the community spouse if the community spouse’s own income doesn’t reach the monthly community spouse income allowance. The maximum income allowance for the community spouse in 2019 is $3,160.50, and the minimum sits at $2,057.50, but the actual number will vary from state to state. In other words, if the community spouse’s own income is less than the state’s minimum income allowance, a portion of the nursing home resident’s income can go to the community spouse until the combination of incomes reaches the income limit. Any remaining income in the name of the nursing home resident goes to Medicaid, to offset the cost of the nursing home. To qualify for Medicaid coverage of nursing home care, an unmarried person is allowed only limited assets. These include a maximum of $2,000 in cash, savings, stocks, or other “liquid” assets; a life insurance policy of up to $1,500 face value; and a burial plot and burial fund of up to $1,500. In some states, an unmarried person can also keep his or her home if declaring in writing, upon admission to the nursing home, an intent to return home. However, states that permit this usually put a 6- or 12-month limit on the length of time a resident can keep the home without actually returning to it. If a Medicaid nursing home beneficiary is allowed to keep a house, Medicaid will seek reimbursement from the value of the house when it’s sold. Note: Medicaid does not allow asset giveaways. In determining how much an applicant for nursing home coverage has in assets, Medicaid examines that person’s financial records for the five years prior to the application date and penalizes the applicant for any improper transfers made within that five-year period. A “Protected Resource Amount” (PRA) for the community spouse of between $25,284 and $126,420 in 2019. Each state sets its own PRA between those minimum and maximum amounts. All furniture, appliances, and other household goods. Life insurance of up to $1,500, face value, for each spouse. Two burial plots and a burial fund of up to $1,500 for each spouse. Once these amounts are subtracted from the couple’s combined income, all other assets are totaled to determine whether the nursing home spouse is eligible for Medicaid. The asset eligibility limit is set differently by each state. The VA provides nursing home accommodations and other long-term care — also called “extended care” — for many veterans. Who’s eligible for VA nursing home benefits? Veterans with a service-connected disability rating (or combined disability ratings) of 70 percent or higher. Veterans with a service-connected disability that is clinically determined to require nursing home care. Veterans who require nursing home care for any nonservice-connected disability and who meet income and asset criteria. Other veterans, on a case-by-case basis, with priority given to those with service-connected disabilities and those who need care for post-acute rehabilitation, respite, hospice, geriatric evaluation and management, or spinal cord injury. More detailed information about eligibility for these nursing home and other extended care VA programs is available from the VA’s Office of Geriatrics and Extended Care. What nursing home benefits are available from the VA? The Department of Veterans’ Affairs provides long-term nursing home care through different types of facilities. There are the VA’s own nursing homes, and there are private nursing homes (called “community nursing homes” in VA language) that contract with the VA to care for veterans when no nearby VA facility is available. There are also the VA’s Community Living Centers, which provide short-term residential care along with ongoing outpatient care. And the VA pays a small part of the cost of residence in State Veterans Homes for some veterans who are not eligible for direct VA nursing home care. Eligible veterans may qualify for residence in a VA nursing home if they have physical and/or mental impairment serious enough to require nursing home care. If there is no VA nursing home close to the veteran’s home and family, or there are no available spaces in a nearby VA nursing home, the VA may pay for a veteran to reside in a nearby private nursing home if that facility has a contract with the VA to provide care to veterans. Most Community Living Centers provide short-term rehabilitative or end-of-life care for up to 100 days. They can also provide longer-term care for veterans who require prolonged rehabilitation, are unable to obtain a place in a community nursing home, or otherwise lack a clinically appropriate community alternative. What do VA long-term care services cost for veterans? For extended care services, veterans may be subject to a co-payment of up to $97 per day. The amount of the co-payment depends on the veteran’s VA health system priority group and individual financial circumstances, and also on the type of care or service provided. The amount of co-payment for extended care services is based on income, and for some services, co-pay amounts are based on the assets held by both the veteran and the veteran’s spouse. For extended care services expected to last 180 days or less, the VA looks only at the income of the veteran and spouse, taking into account the veteran’s expenses. For extended care services expected to last 181 days or longer (such as residence in a nursing home), the VA looks at the income and the assets of the veteran and spouse. Details of these financial calculations are available from the VA’s publication “VA Copays and Charges”. How do I apply for VA long-term care benefits? An application for VA long-term care is separate from the application to enroll in VA medical care coverage. To apply for nursing home or other long-term care, a veteran or veteran’s caregiver must fill out a special application for extended care services. Veterans receiving compensation or VA medical treatment for a service-connected disability need not file this separate application. What will I need to apply for VA long-term care benefits? How can I get help applying for VA long-term care benefits? You can get free assistance with any VA-related question or problem by phone or in person through one of the VA’s Vet Centers, which are located in every state. You can also get assistance by contacting the Veterans Benefits Administration office nearest you. The VA also has a toll-free telephone help line at (800) 827-1000.